PROMOTED Rotherham United got an immediate warning as to how tough life will be in the Championship against a side who were without their top player due to him being “not in the right mind”. 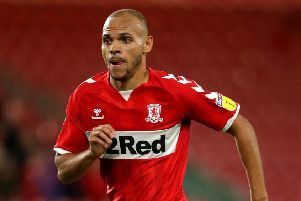 Swansea City are leading the way to sign midfield man Ryan Woods and Millers manager Paul Warne admitted he was relieved to see him missing from the teamsheet. However, the Millers were still outclassed and Warne said: “This was a cold splash of water in our face. “We played against a very good footballing side, which was not an ideal first fixture back in the Championship. They fully deserved the win and were by far the better team in every dimension. “This is the standard. When you’re promoted you have a honeymoon spell over the summer and maybe us coming here and being outperformed is the eye-opener we needed. Warne was pleased with his side’s attitude, though, saying: “They gave me everything, but collectively we weren’t good enough to cause them problems. “This is a much better standard than League One. Brentford weren’t putting alehouse balls in, their movement was great and it’s very difficult to deal with. But even when we were losing we kept trying to score a goal. Brentford head coach Dean Smith hailed his side’s attitude and application. Two goals from Neal Maupay and strikes from Sergi Canos, Ollie Watkins and Lewis Macleod gave the Millers a baptism of fire, with Will Vaulks grabbing a late consolation. Brentford: Bentley, Dalsgaard, Konsa, Mepham, Barbet, Macleod, McEachran, Canos (Benrahma 68), Sawyers, Watkins (Mokotjo 80), Maupay (Judge 68). Unused substitutes: Yennaris, Clarke, Jeanvier, Daniels. Rotherham United: Rodak, Vyner, Ajayi, Wood, Mattock, Taylor, Vaulks, Palmer, Newell (Williams 71), Ball (Vassell 57), Smith (Wiles 67). Unused substitutes: Price, Robertson, Raggett, Jones. Referee: O Langford (W Midlands).